Since 1996, we have had over 960 successful placements. R.W. Morin Associates, LLC was founded in 1996 by two former retail executives, Robert W. Morin and Mona K. Fisher. With their shared value in building relationships, a full commitment from project inception through to completion, and with the delivery of superior results, they set a new standard in contingent based recruitment. Twenty years later, today the business is managed and operated by Mona K. Fisher and Linda D. Clark. While our firm has broadened over the years, the strategy and philosophy remain the same. In developing our business we consciously seek after recruiters, who are not recruiters, but successful specialty retailers, who understand the needs and nuances of this business. We believe our success through the years, has been because of this understanding, and the ability to locate and present more qualified candidates to our clients. We currently have three outlying recruiters (satellite offices) operating solely for our company. Most of these professionals are former retail executives whose backgrounds run the gamut from H.R. to Operations to Merchandising. Over thirty five years of retailing. Last several years served as C.O.O. for Casual Corner Group, Inc. Served as a Cross Brand Vice President of Stores from 1993 until retirement in 1995. Over eighteen years retailing experience. The last nine years of her retailing career, served as Regional Director of Stores for Casual Corner Group, Inc. with responsibility exceeding $100.0 million in annual sales in 100 stores. Currently owner of Alexander International; exclusive importer in the United States of Wilhelm Schweizer Pewter Art and other German handcrafted articles. Also owner of Bavarian Zinnfiguren, retailer of Bavarian pewter figurines. Joining the team as a partner in 1998, Linda has eighteen years retail experience heavily focused in the merchandising sector. Served as Divisional Merchandise Manager for Albert Steiger, Inc., regional specialty department stores located in New England. She then served as Product Manager for Casual Corner Group Inc., responsible for annual sales of $300.0 million. Linda also was a Management Consultant, again focusing on the buying, planning, product development, and merchandising aspects of the business as well as start-up businesses prior to joining R.W. Morin Associates, LLC. The newest member of the R.W. Morin team, brings over 30 years experience in retail recruiting with special emphasis on Finance, Accounting, IT, Category Management, Merchandising, and Operations. 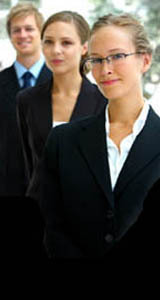 Successful placements at the executive level include: CFO, V.P. Treasurer, V.P. Of Systems Development, V.P. General Manager of E-Commerce, Director of Taxes, Director of Corporate Accounting, Corporate Controller, Director of Outlet Store Operations,and Director Of Technical Services. Former DOS with Brooks Fashion, has been successfully recruiting for 25+ years.